This is an original 1950 printing. Overall nice condition, cover shows light wear. Numerous individuals are mentioned within the text, no biographies are included. 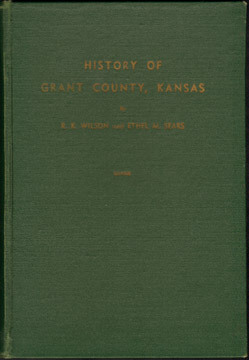 Includes a lengthy section of names (36 double column pages) of early settlers and their property location. Also includes many historical, vintage photos including buildings, sod houses, and the dust bowl.